At the end of a tough day of double maths and triple science, nothing beats pulling on cosy lounge bottoms. 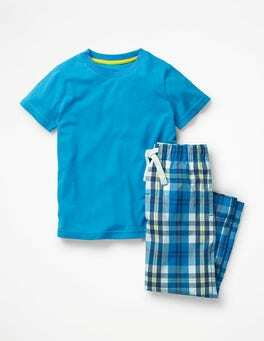 This supersoft cotton pair even has a grosgrain tie at the waist for a perfect fit. Team with a casual tee or hoody for that carefree, lounging feeling. All sorts of strange things happen after dark: owls start hooting, hedgehogs come out to play and cosy long john pyjamas magically light up the night. With these glow-in-the-dark designs, made from supersoft cotton, space cadets will snooze happily while they dream of their next mission. Even astronauts need their sleep. 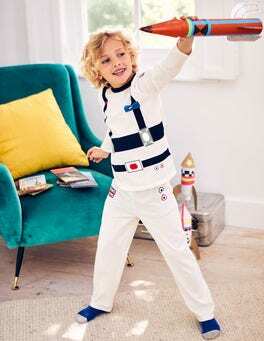 These soft jersey pyjamas are comfortable enough for overnight expeditions to a brand new planet... or to a best friend's sleepover. The slightly looser fit leaves plenty of room to move – perfect for showing off those space-karate skills. From the furry outer and cosy lining to the embroidered face and 3D teeth, these wolf boot-style slippers really are more awesome than fearsome. They even have star-printed soles for an extra touch of fun. Whether it's time for playing in the park or snuggling on the sofa, these slim-fit joggers are the perfect choice. The easy pull-on style is lined with soft fleece to keep off the chill. Contrast pockets, ribbed details and big, bold prints show that they're ready for fun. This cosy pointelle pack is (almost) as soft as baby's skin. The set includes one plain and one printed style, and both can be worn as either day or nightwear. And the pack comes with a bag, making it the perfect present for a new arrival. 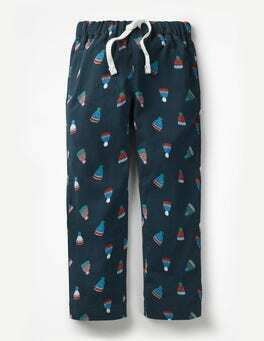 Take the great outdoors to bed with you in this cosy pyjama set. With these fun characters to keep you company, who needs a bedtime story? 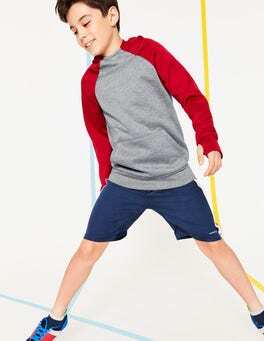 It's ultra soft in stretch cotton jersey, with a wonderfully comfortable loose fit. What do champion goal scorers wear at bedtime? 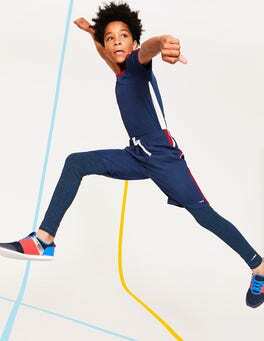 This pair of athletic-inspired striped pyjamas. These sleep companions feature contrast ribbing around the cuffs and neck to stay looking sporty – even while snoozing. 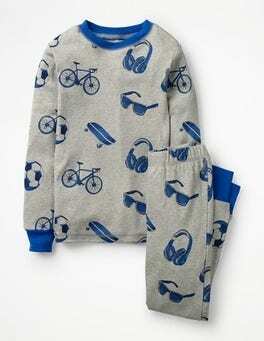 When bedtime calls, cosy up in these comfortable pyjamas. The bottoms are made from brushed flannel with a supersoft feel, cut loosely so you can stretch out and relax on cloud nine. 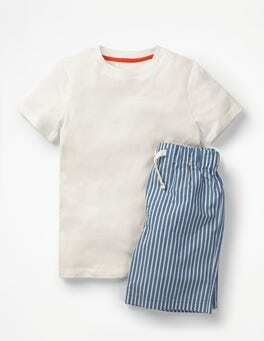 Made for warmer nights, this cotton poplin pyjama set is soft and loose to keep you cool. The shorts in stripes or checks are extra colourful – because who says bedtime can’t be fun? Brrrr! No need to feel the cold while chilling at the park. Our pull-on hoody has supersoft fleece to keep warmth locked in, a raised neckline and kangaroo pocket. Reflective details shine bright when the sun's gone down, and the cuff holes add extra cool points. A smart style that’s easy-going too? 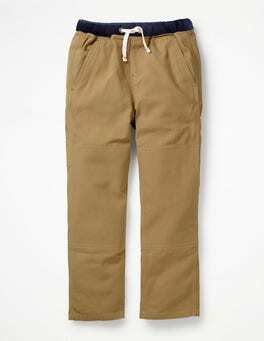 It could only be our chinos. 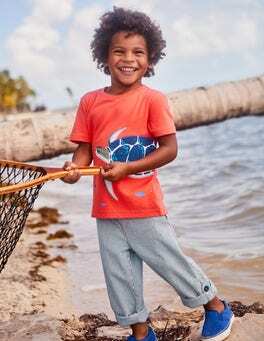 The lightweight fabric makes them flexible enough to keep up with energetic young explorers, while a stretchy elasticated waistband gives a comfortable fit. We've added a sunglasses print on the turn-ups for a daily dose of sunshine. These cosy bottoms won't let chilly weather get in the way of a good kickabout. We've added a snug fleece lining with thermal moisture-wicking properties, drawing sweat away to keep legs warm and dry. Pull them on under shorts or joggers and bring on the goals. 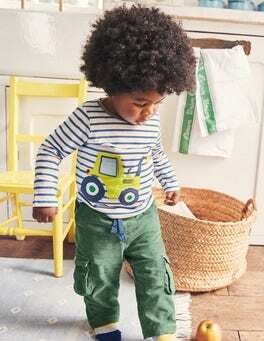 Ready, set, crawl: these cotton corduroy bottoms are fully lined to be gentle on skin but sturdy enough to stand up to speed-racing across the floor. The ribbed waistband keeps them firmly in place, while buttoned side pockets mean dummies stay safe. No need to wait for the sandman – with these soft long johns you'll nod off in no time. 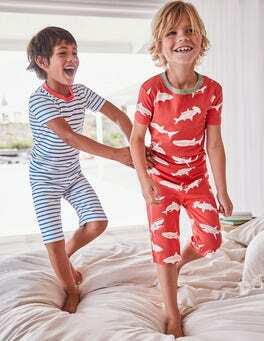 The snug fit keeps out the draught on chilly evenings, and the colourful stripes and prints are bound to be a hit at the sleepover. Anyone for a midnight feast? 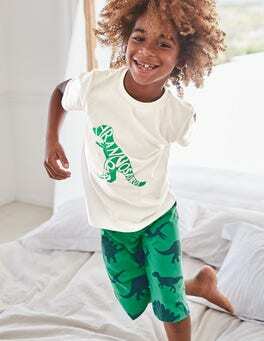 Stay warm while dreaming of adventures in our pure cotton long john pyjamas. From the fully elasticated waist to the stretchy ribbed jersey, we’ve made these with the utmost levels of comfort in mind. 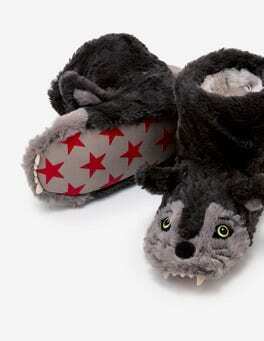 Oh, and did we mention they’ve got brushed insides for extra cosiness? Thank you and good night. These glow-in-the-dark short john pyjamas are very important for night-time adventures. A snug fit and a cosy ribbed waistband mean they're extra comfortable, while the luminous prints come in handy on secret missions after lights out. 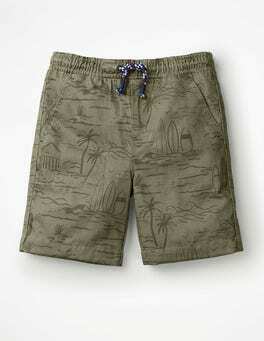 On warmer nights, our cotton short john pyjamas do the trick nicely. They’re made from stretchy ribbed cotton jersey that has been brushed on the inside to make them supersoft against the skin. This, together with the snug fit and fully elasticated waist, will guarantee the best night’s sleep ever.